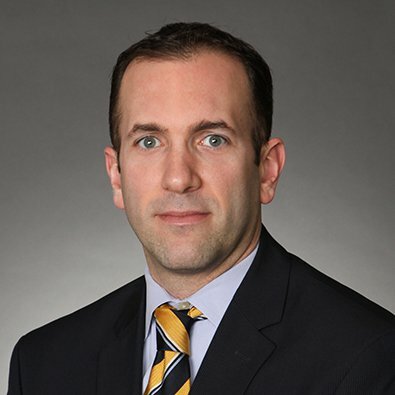 Adam has extensive experience in the handling of many different types of commercial disputes and transactions with a primary focus on construction, real estate litigation and financial services litigation. His experience in the lending and finance arena includes the representation of national lenders and loan purchasers in workout, asset seizure, transactional, bankruptcy and collection matters, the negotiation and preparation of commercial agreements, including loan documents, purchase and sale agreements (real estate and corporate), construction contracts, deeds in lieu of foreclosure and forbearance and modification agreements. He also has prosecuted numerous equipment lease cases, including actions seeking the remedies of replevin and detinue. As for construction and real estate litigation, Adam has managed a large caseload of cases, including those brought under the Uniform Commercial Code, the Illinois Mechanic’s Lien Act and the Illinois Mortgage Foreclosure Law. Additionally, he has represented nearly all parties in the chain of contract as to construction-related disputes, including lenders, owners, general contractors, subcontractors and suppliers, and has represented those parties pertaining to payment disputes, commercial real estate foreclosures, mechanic’s lien cases, construction defect cases, fraud and business torts and bond claims in both federal and state court as well as in arbitrations and mediations inside and outside of Illinois. His practice also includes the representation of court-appointed receivers in foreclosure and forcible entry and detainer actions and the prosecution and defense of landlord-tenant disputes. Before joining Freeborn, he was a Senior Attorney in the Construction Group at Clark Hill PLC. Successfully prosecuted complex commercial mortgage foreclosure action on large, multi-family project including defense of multiple lien claims. Defended automatic teller machine operator in Electronic Funds Transfer Act lawsuits. Represented and was successful on behalf of many subcontractors in asserting mechanic’s lien claims on both public and private projects, and general contractors on private projects including the preparation of the actual liens and the prosecution of the lien litigation itself. Represented large developers in breach of contract claims including projects in Maryland and Florida. Represented various contractors in bankruptcy proceedings filed by both upstream and downstream contractors as well as lenders in proceedings filed by mortgagors and grantors. "Forum Selection Clauses in Equipment Leases," Equipment Leasing and Financing, (May 25, 2011). “IICLE: Representing the Parties to a Construction Project 2015,” Chapter Author, (September 2015). Moderator, 5th Annual Bisnow: Chicago Construction & Development: The Latest Projects Transforming Chi-Town's Skyline, (August 29, 2017). Chicago Lawyer magazine interviews Adam C. Toosley about his role a board member of Chicago’s Brewseum museum of beer. Adam C. Toosley is the subject of the profile article “A Mind for One-Stop Real Estate Litigation and Transactions,” published in the 2019 issue of Leading Lawyers Magazine – Real Estate, Construction & Environmental Edition. Freeborn & Peters is pleased to announce that 43 of the firm’s attorneys have been chosen as 2015 Illinois Super Lawyers or Rising Stars, which recognize the state’s top attorneys and up-and-coming lawyers, respectively. Midwest Real Estate News has named Freeborn & Peters LLP one of the top real estate law firms in the Midwest in its annual “Best of the Best” issue. The Chicago-based firm ranked 20 out of 85 firms that submitted. Rankings are based on the number of real estate transactions performed in 2013. Freeborn & Peters LLP is pleased to announce that 16 of the firm’s attorneys have been named 2014 Illinois Super Lawyers, which recognizes the leading attorneys in the state. In addition, 10 Freeborn attorneys earned the distinction of 2014 Illinois Rising Stars, the state’s top up-and-coming attorneys.